The book of Colossians has a remarkable historical background. Paul wrote this letter while he was under house arrest in Rome. He had made one last effort to communicate the Good News to his Jewish compatriots in Jerusalem. It failed, instead producing a riot from which the Romans rescued him and took him into custody. Because of imminent threats to his life his Roman guards whisked him away to Caesarea for safe keeping. There, although he had several hearings, his accusers never came to face him in court. They were probably content to have him safely out of Judea. After languishing in prison for about two years, he final exercised his right as a Roman citizen to appeal his case to Caesar. Following a harrowing trip to Rome, he awaited trial for several years. Able to receive visitors, he used this opportunity to expound the Good News that he had already been preaching in many other places (Acts 28:30-31). He also spent time reflecting on his ministry and writing at least the four letters during that period which have been preserved to this day: Ephesians, Philippians, Colossians, and Philemon. The names of the first three came from the cities to whose followers of Jesus Paul wrote the letters. Many scholars think that Paul intended Ephesians to circulate among the various churches in the region. Colossians resembles Ephesians in its themes. Paul wrote Philemon as a personal note to a friend in Colosse and undoubtedly sent it along with the letter to the church there. Paul had never visited Colosse (1:7-9). Epaphras, one of Paul’s converts during an earlier stay in nearby Ephesus, had established the Colossian church. 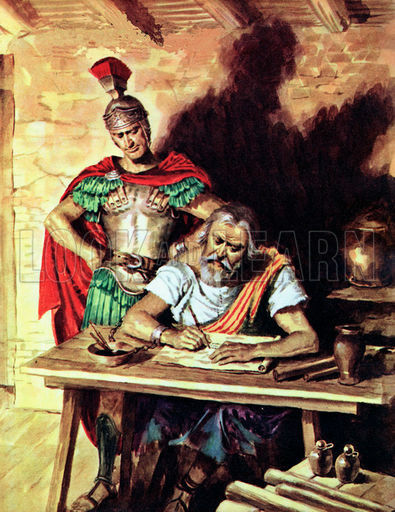 Paul took advantage of this time to write because a man named Tychicus, present with him at the time, was going to travel to Ephesus, Colosse, and perhaps some other nearby cities. Paul would send the letter with him (Colossians 4:7-8). Paul also wanted to address a false teaching which was beginning to infiltrate some of the churches. 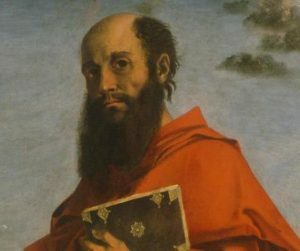 Though most scholars believe that the philosophy of Gnosticism arose and flourished the second century, the content of Colossians suggests that a precursor already existed in Paul’s day and greatly concerned him. It became one of the main issues Paul addressed in the letter. We will have more to say about this philosophy and its relevance to today when we come to it the middle of chapter 1 and more fully in chapter 2. We often think of him as the world’s super missionary but the story of Paul’s church planting career is a fascinating story of ups and downs. At times he was excited; at others he was depressed. Over his life he grew and learned even from his mistakes. It was well into his career that he felt he had perfected his model of church planting and development. This approach didn’t always work out as well as he hoped. (Missionaries who use this approach today often don’t even realize that they don’t have the base of Bible knowledge that first-century Jews in Paul’s churches did.) Various problems arose almost as soon as he left. He therefore felt he had to write trouble-shooting letters, often with great urgency. These were characteristic of his writings during this period. He sent two to the church at Thessalonica and two others to Corinth. He also made repeat visits to help resolve these problems. Though these letters were undoubtedly written with anxiety over whether the churches would survive, we can be very grateful for them. They give us insight into how to solve these same problems in today’s churches. Eventually, Paul realized that he needed to lay stronger doctrinal foundation in his churches. That would head off many problems. He especially needed to expound the unique Christian teaching of justification by faith. This means that a person is not reconciled to God by doing good things. We are saved, instead, by God’s grace alone, received by faith. Paul’s classic work during this period is his letter to the Romans. He had not yet visited them but hoped to do so soon. We can also include a shorter version of this letter in this period. It is the one to the Galatians in southern Turkey, although it was likely written earlier. It is a passionate repetition of doctrinal things that Paul had already taught them but which they were quickly forgetting. We are also grateful for these two letters because of the clear way they establish perhaps the most important principle of the Christian faith. During this period Paul’s church planting strategy changed somewhat. He began to spend more time with key churches such as the ones in Corinth, Philippi, and Ephesus. He realized that more time spent in grounding churches would prevent problems later on. Paul’s church planting model had finally emerged in its fullness. It had been very successful planting churches. They had mostly Gentile converts. But he felt deeply for his own kinsmen, the Jews. He therefore planned one last effort to share the Good News with his fellow Jews in Jerusalem. Two important prophets separately warned him that this was not going to succeed (Acts 21:4, 11). But headstrong Paul plowed ahead. Sure enough, the mission failed, producing a riot. Romans soldiers barely rescued him and took him into custody. Because of imminent threats to his life they whisked him away to another city, Caesarea, for safe keeping. There, although he had several hearings, his accusers never came to face him in court. They were probably content to allow him to waste away in prison, safely out of Judea. After languishing there for about two years, he finally exercised his right as a Roman citizen to appeal his case to Caesar. Following a harrowing trip to Rome, he awaited trial for several years. Under house arrest and able to receive visitors, he continued to expound the Good News that he had been preaching (Acts 28:30-31). He also spent time reflecting on his ministry and wrote at least the four letters which are preserved to this day: Ephesians, Philippians, Colossians, and Philemon. The names of the first three came from the cities to whose followers of Jesus he wrote. Many scholars think that Paul intended Ephesians to circulate among other churches in the region. Colossians resembles Ephesians in its themes. The letter to Philemon is a personal note to a friend in Colosse, undoubtedly sent along with the letter to the church there. Philippians is a kind of love letter, written to his favorite church. It was the one that loved him the most and the only one that sent him financial aid several times during his desperate need of it. These letters are Paul’s mature thoughts about the Church—what it is and what it ought to be. It was only now toward the end of his career, that he was satisfied with the model of church planting and development that he was finally able to implement, especially in Ephesus, one of the world’s great cultural and intellectual centers, located in western Turkey (see The Church at Ephesus as a Model for Church Planting and Expansion). Colossians and Ephesians paint a lofty picture of Jesus as the head, both of the Church and also of the whole world. They also describe the glory of the Church as Christ’s body. We are grateful for these letters that inspire us to create the kind of glorious churches that Paul envisioned. Paul was eventually freed from his first Roman imprisonment. Likely, his accusers failed to make the difficult trip to Rome so there was little evidence against him. He apparently did some more traveling and writing during this period. By now the churches had developed and grown. This resulted in many administrative and pastoral concerns. His letters in this period gave instructions about how to take care of a more established church. He also had advice for at least two of the men he trained as they entered this phase of church life. They addressed to two associates. Two letters were to his favorite disciple, Timothy, and one to another associate named Titus. This last period ended when he was beheaded in Rome during Emperor Nero’s persecutions. Churches nowadays also make transitions. In their early days everything may seem exciting and new. But after a while, as growth takes place, there are more mundane organizational problems and policies need to be set. We can be grateful that Paul lived into this phase and left us invaluable information on how to deal with the transition into this phase of church life. THis is the post on Col. 1:3-8.